If you’re shopping for a good acoustic guitar, it’s easy to get overwhelmed by all the different kinds of guitars out there. Nylon or steel strings? Solid wood or laminate? What about cutaways and electronics? There are also a wide variety of acoustic guitar types and body styles to choose from, and it’s important to understand the differences when shopping for a guitar. The perfect guitar for you depends on your needs and what kind of music you want to play. In this article, we break down some of the things you should be thinking about before making your next acoustic guitar purchase. 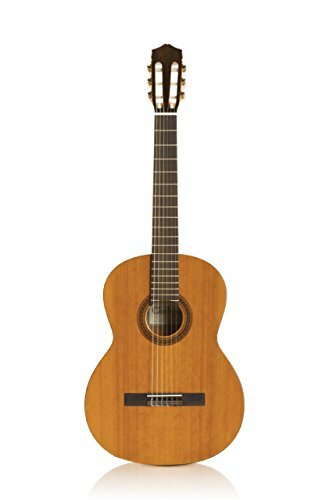 One of the first choices you’ll be faced with when deciding between all the different types of guitar is whether to get a steel string acoustic or a nylon string “classical” guitar (like the Cordoba C5 Iberia pictured here). These are actually two quite different instruments with distinct playing styles and sound qualities. ​Nylon string guitars are used for classical music and traditional Spanish flamenco music, but you can also experiment with other types of music. They have a wider neck, and they’re also played a bit differently. You’ll still be using chords, but the nylon string guitar relies heavily on fingerpicking over strumming with a pick. Choosing between the two comes down to a question of playing style. Steel string guitars are much more common for rock, blues, bluegrass, folk, and country. 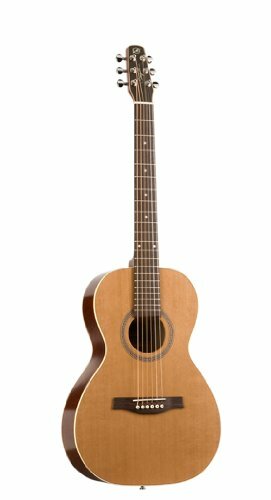 If you want to play classical, Spanish-style music, or perhaps experiment with some jazz fingerpicking, then a nylon string guitar could be a good choice. 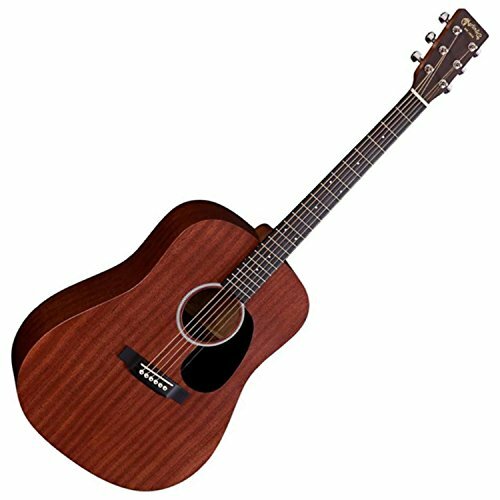 The dreadnought is the go-to classic and the most common type of acoustic guitar out there. Chances are if you’ve seen a musician on TV, at a show or playing in your local subway, they have a dreadnought in their hands. Dreadnoughts (like the Martin DRS1) produce a clean, pure acoustic sound with a wide range, good projection and strong bass. This includes the Auditorium and Grand Auditorium body styles. 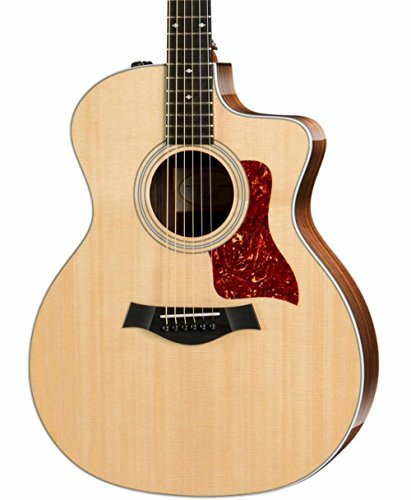 Auditorium styles (like the Taylor 214ce Deluxe) have less bass and a more defined midrange than dreadnoughts or concerts. They are more manageable in size if you don’t want a huge guitar, and their balanced tone makes these great for fingerpicking. 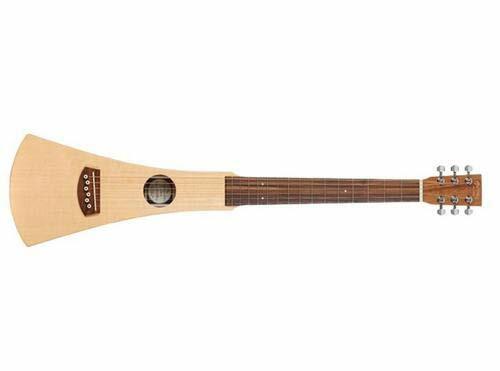 Parlor guitars are a small-bodied guitar that has been gaining some recent popularity with folk musicians. Parlors (like the Seagull Coastline) tend to be very comfortable to play, and have an even tone that is very easy on the ear. However, because of their small size they can lack in volume and dynamic range. But if you don’t need a lot a volume, a good parlor guitar can be a lot of fun. Want something you can throw in an overhead bin or don’t mind taking camping? Mini and travel guitars are great options. These typically feature close to full scale necks, but have much small bodies that make transporting them a breeze. Travel guitars (like the Martin Backpacker) also tend to be less expensive, so they are good beaters as well. 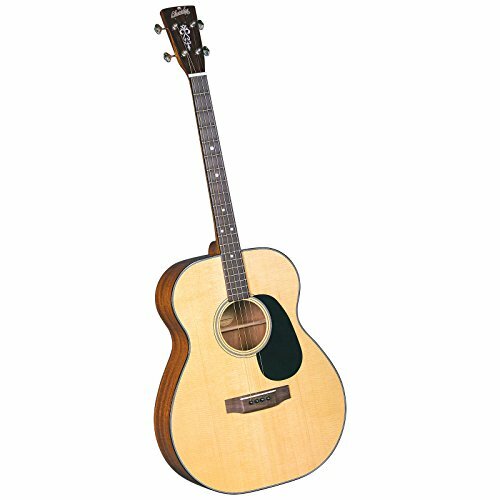 If you’re looking for something that fits a smaller frame, you may want to consider a tenor body acoustic guitar. Tenor guitars (like the Blueridge BR40T) have a smaller scale and only four strings, and they are tuned differently than six string guitars. Tenor guitars are less common, but they are gaining popularity in Celtic and folk music styles. Another important decision when choosing between acoustic guitar types is whether to purchase an unplugged or electric model. Electric acoustic guitars (like the Yamaha FG800) feature the traditional fingerings and body projection of unplugged models, but also have onboard electronics and pre-amps for plugging in if needed. Some models even come with equalizers and other sound adjustments, standard. On the other hand, you will end up paying more for an electric enabled acoustic guitar and you’ll get what you pay for. If your manufacturer installed pre-amp is lower quality or doesn’t fit your style, you’re out of luck since it’s built in. When considering a non-electric enabled acoustic guitar, you’ll have the same sound quality as the acoustic-electric when playing unplugged, and you’ll likely be spending less upfront since you’ll be missing the electric component. You can buy sound hole pickups to still amp up your acoustic guitar, which means you’ll have quite a variety of options over the built in variety. Personally, I like the versatility of unplugged but the edge goes to a quality acoustic-electric for its ease of use if it’s in your budget. This is by no means an exhaustive list. 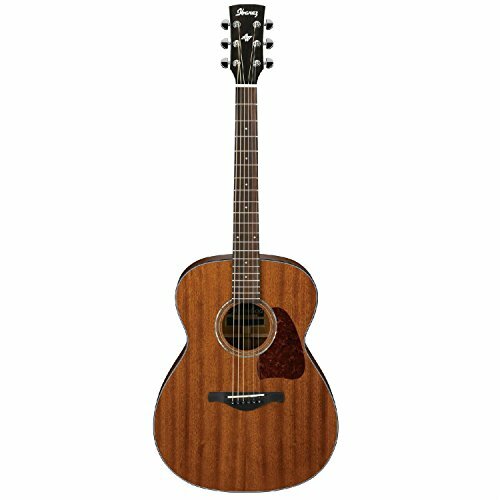 You’ll also have choices between laminate tops or solid top, different finishes, six or 12 strings, cutaway or no cutaway, and even color choices. Hopefully this list gave you some ammunition to decide on the type and body style of guitar that’s best for you. I used to play the guitar a lot when I was a kid, but not so much now that I’m older. I do have a bit more free time now that I switched jobs so I am looking at getting back into the guitar game. Since you did list multiple types to choose from, I would probably go with the concert style. The main reason why is that it’s a bit smaller and it provides a more balanced tone.